Source: Illustration by Dave Simonds. 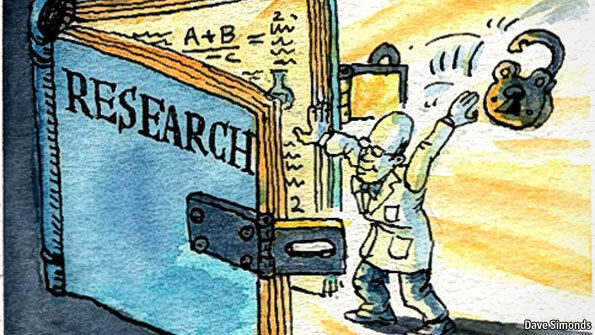 “Open Sesame” in The Economist. A few weeks ago, I wrote about a pretty edgy journal, New Criticals. What really struck me about this journal is the way it abandoned the format of a traditional, academic journal. Although it is not peer-reviewed (there’s very little information about the selection process), it is run by qualified people and has contributions from well-regarded academics. What New Criticals got me thinking about is the impact of design on sense of rigor in academia. Most open access journals conform to the format and design of paid academic journals. I am interested in looking into some journals out in the left field to see how the choice of design impacts their use and the contributors and readers who engage with it. I don’t know if this is a feasible project; however, as more and more scholarly communication moves online (and even onto social networks), it would be interesting to look at how various journals are adapting to new forms of reading and new expectations of aesthetics.